In his book, How Scots Invented the Modern World, American writer Arthur Herman credited the inventiveness of Scots in numerous fields including science, education, medicine, and philosophy and medicine. In so doing, he argued, the Scots were responsible for modern ideas about democracy, free market capitalism and the importance of developing a literate society. As chairman of the Football League from 1888-1891, McGregor presided over the transition of English football from a (mainly) amateur pursuit to a truly professionalised sport. He was also chairman of the Football Association (1888-1894) and was honorary president of the Football League (1891-1894). He was elected the first life member of the league in 1895 and died in 1911. 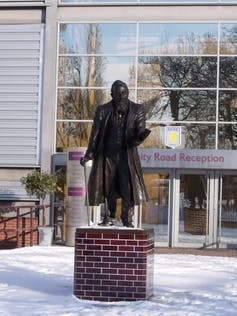 He is remembered today by a statue unveiled in 2009 at the directors’ entrance to the Trinity Road Stand at Villa Park in Birmingham. 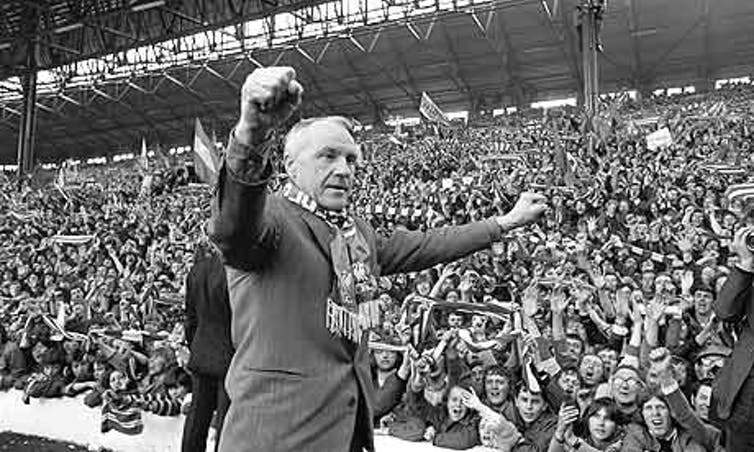 Undoubtedly, the successes of these two clubs were influential in helping to precipitate the formation of the Premier League which would allow already successful clubs such as Liverpool and Manchester United to become more successful and even richer. So it was ironic that, in the EPL’s third season, the title went to Blackburn Rovers – managed by none other than Dalglish. a few years ago, when I was doing my PhD, I wrote to you about football fiction. You were very generous. Then more recently I read this article in the Scotsman and saw it on the conversation too! I will be buying the book and suggesting my University Library get a hold of a copy too!